If you often find yourself out-and-about with your iPhone and wallet in tow, you may want to combine both necessities into one by using a wallet case. This will allow for less bulk, less stuff to keep track of, and a well-protected iPhone! 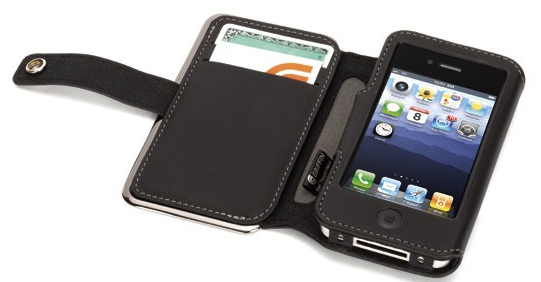 Below we have put together a list of the best wallet cases for the iPhone 4/4S. Though the Twelve South Bookbook case has the look and feel of a small leather bound book, it is still slim enough to fit your pant pocket. The Bookbook is made from a soft, genuine worn-leather material which gives it a nice feel in the hand and makes for a classy vintage book look. When using the Bookbook as a wallet, you’ll notice it offers two credit card slots, a see through ID holder, and a cash pocket to hold several coins and bills. For the average person, this should provide plenty of storage. If you’d like to buy this case for yourself, check out Twelve South’s online store. 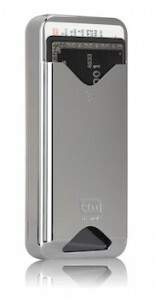 The Case-Mate ID case is perfect for anyone who wants an extremely slim case with a credit card slot. 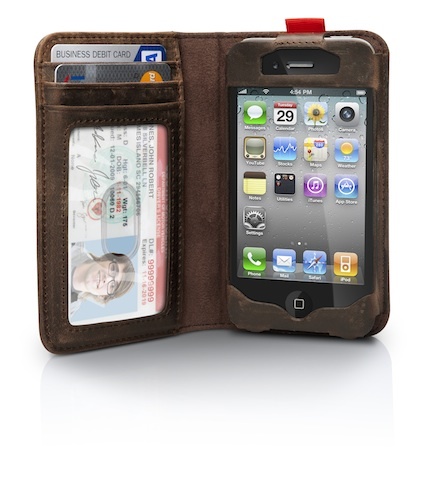 The ID case features an open-faced front, with a credit card pocket on the back. This case can only hold up to two credit cards or a few bills. It is made out of a thin plastic material which is available in multiple colors and designs. You can buy this case on Case-Mate’s website. If you want even more damage protection from drops, take a look at the Pop! ID case by Case-Mate, which is the same case but with additional protection features. If you want full protection, while holding just a few credit cards, you may want to check out the Griffin Elan Wallet. This case offers full protection using a thick silicone material, which provides a great grip. The plastic see-through frame over the Apple logo allows you to show off your Apple logo while keeping it scratch free. 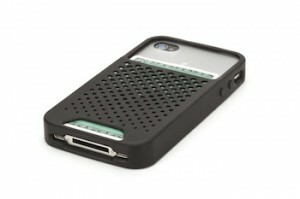 This case is currently only available in black and can be purchased from Griffin’s website. 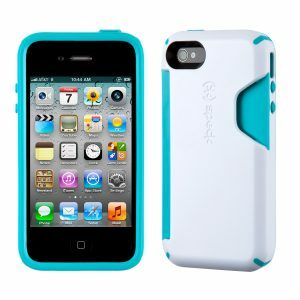 The Speck CandyShell is a popular case for the iPhone (as well as many other devices). Speck has decided to take the CandyShell line to the next level with the CandyShell Card case. The CandyShell Card features enough room to fit three credit cards or a few bills. This case is a hybrid case, meaning it is made out of two materials, silicone and a hard plastic. 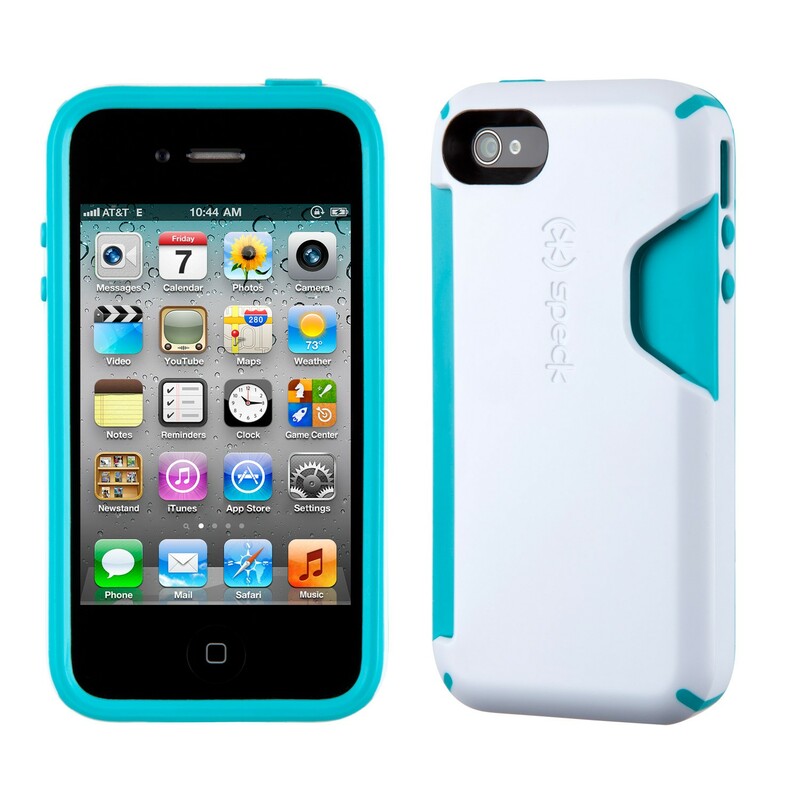 This case comes in a wide array of colors and two-tone combinations. If you’d like to buy this case, head over to Speck’s website. The Griffin Elan Passport Wallet case is for someone who likes a classic wallet design. This case has a great stitching accent and features a no-scratch lining over the credit card area to ensure your iPhone screen won’t get scratched. It features two credit card slots and a cash slot underneath to keep a few coins as well as bills. This case also features metal accents on the outside edges of the case, making the case look classy while providing a bit of extra protection. Thanks for taking a look at this week’s product roundup! Check back soon for more app reviews, product reviews and breaking news on Tapscape!